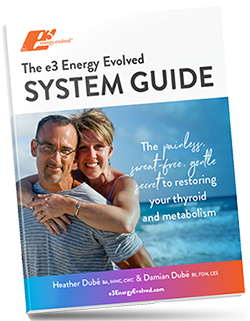 If you would like to join us in our e3 Energy Evolved mission to restore thyroid, autoimmune and metabolic health naturally, sign-up for our affiliate program below. Our mission is to help hundreds of thousands of people globally to restore their health and THRIVE again—and we can’t do it alone. We offer generous commissions on our most popular products and programs. The best part is after you refer someone and they’re entered in our system, you’ll continue to earn commissions on all eligible products or programs they purchase, indefinitely. Partner with us to earn passive income while saving lives, ending disease and helping others thrive physically, mentally and spiritually at the same time. Begin by completing the form below and then signing our e3 Energy Evolved, LLC affiliate agreement during the enrollment process. Please review these agreed legal terms and conditions carefully. Thanks in advance for sharing e3 Energy Evolved with your community!